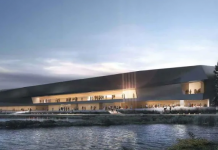 The new Laurentian School of Architecture in Sudbury has awarded the $5.5 million contract for the restoration of the old CP freight shed and the incorporation of this building as well as the market building into the design for the school to Cy Rheault Construction Ltd. of Timmins. Workforce in Sudbury has been meeting with trades-related organizations to co-ordinate a program that will be designed to attract Women in Trades in Northern Ontario, in order to address the trades shortage in the north. 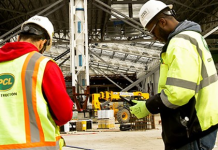 The City of Greater Sudbury has announced that they are currently working on an app for contractors to book their inspections, as well as online building applications over their smartphones. Daniel Giroux, vice president of College Boreal in Sudbury, tells us that the carpentry trade program at the College is proving to be most successful with 15 students enrolled – all of them women! Vale has announced recently that it is cutting back its $2 billion Clean AER project to half that size, as well as shutting down one of its two of its furnaces at the Copper Cliff Smelter Complex. Two of the reasons stated are volatile market conditions and operating cost challenges. Batchewana First Nation and BluEarth Renewables Inc. have announced a partnership in the development of the Bow Lake Wind Farm. The project will contribute to the Ontario government’s target of 10,000 mw of non-hydro renewable energy. Plagued by lack of attendance and high operating costs, the City of Timmins has sold its Shania Twain Museum to Goldcorp for $5 million. The property will become an open-pit gold mine. Gorf Contracting Ltd. of Timmins has opened a satellite office in Sudbury. Gorf provides high quality services in civil and mechanical contracting to the mining, lumber and power generation industry. SNOLAB, Sudbury’s world-famous neutrino observatory, located 2 km. underground, has received more than $22 million from the federal government to cover operating costs as well as engineering and construction costs for the next five years. Miller Paving of Markham, Ont. has been awarded a contract to improve 11 kilometers of Highway 66, a critical link for the mining industry between Timiskaming and Quebec. The project is expected to create 80 jobs in the North. 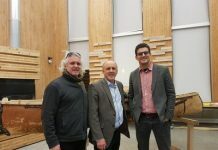 Students of the Sustainable Building Design and Construction program at Fleming College in Haliburton County have partnered with the town of Highlands East to build a 2,000 square foot library. 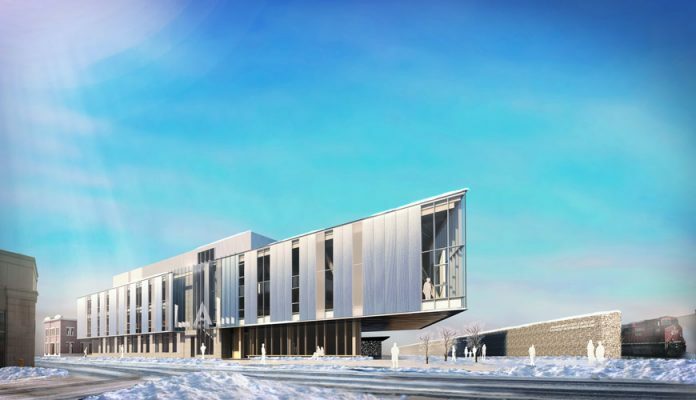 The program is the first of its kind in Canada, with an average of 26 students who design and build a completely sustainable structure with green building technologies and energy-saving techniques, from start to finish. You can share your northern news briefs with us by emailing buckshon@cnrgp.com.